gla.MAR.ous » Pin This Tuesday: NYX Cosmetics ‘Copenhagen’ For Fall. We have been looking for the perfect versatile wine lip color for Fall 2014 and I think we found it on Pinterest! 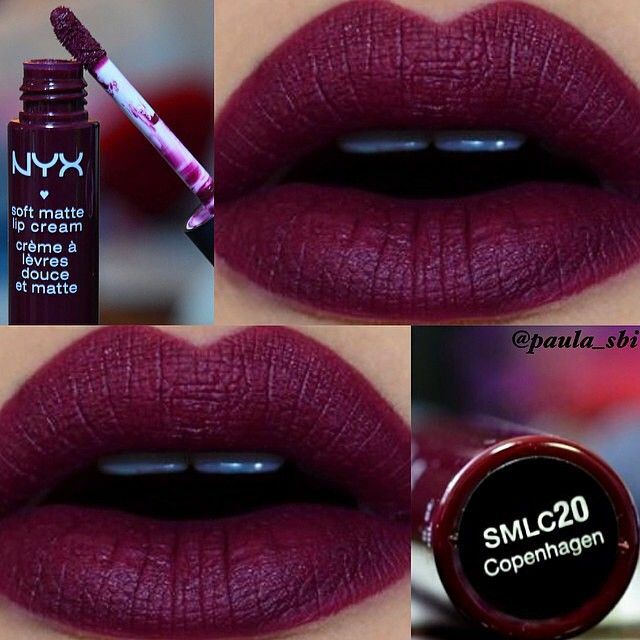 The NYX Cosmetics Soft Matte Lip Cream in ‘Copenhagen’ looks absolutely gorgeous. The color looks rich and creamy and we adore that it’s a matte lip. Imagine pairing it up with our Madeline II crown for a Fall outfit?! You would look like pure royalty. It seems like it goes with pretty much every complexion and we can’t wait to try it out. What’s your favorite wine lip for Fall? Pin This Tuesday: Lucy Hale’s Pretty Ponytail.